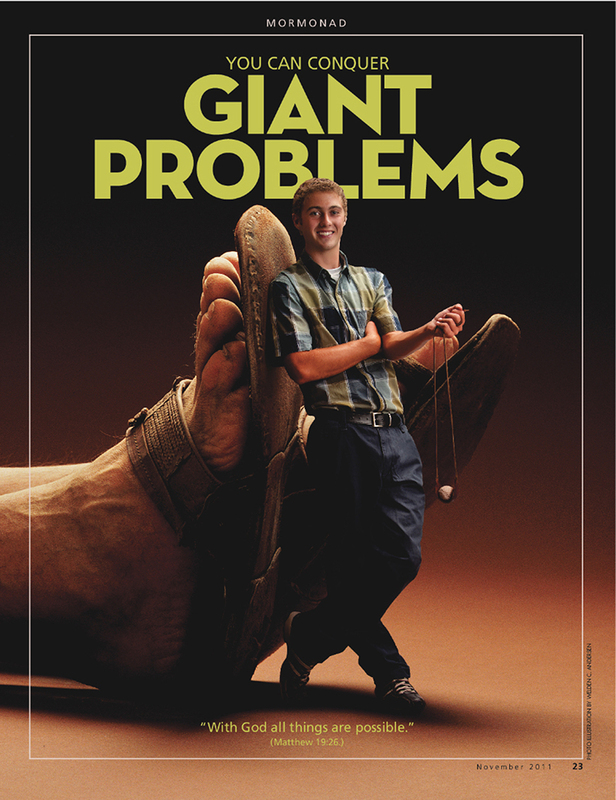 The purpose of teaching LDS Primary 6 Lesson 28: David and Goliath is to encourage us to seek Heavenly Father's help in overcoming obstacles in our lives. Try this fun bag activity idea from Rachael's Booknook. Use my block object lesson instead of the stones in the Attention Activity. Bring a small doll and several big blocks. Cover the doll in blocks. You can give each block a name like or just like them to the hard things in our lives. Then show what happens when we take the difficulties of life with Heavenly Father's help. Instead of piling the blocks on top, use them to build a stair case with the blocks with the doll on top. These balloon poppers would also be a fun sling shot alternative. Gather your own stones with the application activity included in The Red Headed Hostess class packet. Visualizing David and Goliath- A seminary students explains what he learns from this account (about 30 seconds). You can now download or stream Living Scripture videos. You do have to get approval from your Primary Presidency before using them but they are great! Goliath figures- fold in half then fold the white parts underneath the feet. Attach the blank white parts together to make it into a triangle that can stand on it's own (like the figurines in my Easter kit). Bring a ping pong ball or something similar and let your class try to knock Goliath over after they answer a question. To keep things under control, the ping pong ball much bounce on the table two times before hitting Goliath. Goliath target- same concept- throw balls of socks or make your own slingshot and try to hit the target after answering questions. Here's a neat pvc pipe sling shot you can make or try this one made out of toilet paper tubes.